TintCenter Window Tinting > Window Film Blog > Green Tips > Greenhouse Gas – Is It Just A Lot of Hot Air? “So what is the problem with carbon dioxide? We exhale it all the time?” You have probably heard these phrases over and over again. It’s certainly true that humans and animals exhale CO2 into the atmosphere constantly and plants use carbon dioxide in the photosynthesis process. The problem occurs when other environmental conflicts combine to raise CO2 to dangerously high levels. Carbon dioxide does not dissipate quickly enough to offset its’ rise in our atmosphere. Excessive amounts of CO2 is a component of the “greenhouse gas” effect on the planet. For reference, prior to the industrial age, carbon dioxide in the atmosphere measured 280 parts per million. At the close of 2012, it measured 391 parts per million; higher than at any time in the last 800,000 years. These staggering statistics are the result of more than simple respiration. Clearly, human activity, beyond breathing, has altered the earth’s delicate balance. It may surprise you, however, as to what increases CO2 levels in the atmosphere the most. While burning of fossil fuels play a significant role in creating carbon dioxide, it is deforestation that has, by far, the greatest negative impact on these levels. The loss of significant tracts of forests all over the world contribute more than 15% of carbon dioxide to the atmosphere than do all the cars and trucks on every road in the world. This doesn’t mean that we can continue on the path of fossil fuel use with abandon. The burning of fossil fuels increases the level of carbon dioxide in the ocean. As this happens, an important plant-like organism called phytoplankton decreases. Oceans can’t survive without these plants (sometimes called the grass of the sea) because many species, from whales to jellyfish, feed on it. Phytoplankton also consumes carbon dioxide for photosynthesis, but when too much CO2 is available, phytoplankton grows into what are referred to as “toxic blooms.” When consumed, these blooms are deadly to sea life. Just as deforestation wipes out biodiversity on land, it also destroys biodiversity in the ocean. This is just a fraction of the many problems brought on by excessive carbon dioxide in the atmosphere. 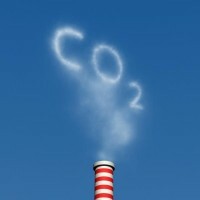 The question that is rarely asked is how much carbon dioxide can our planet store? It doesn’t go away. It’s known that much of it ultimately settles at the bottom of the ocean. Scientists, however, do not know how much is too much. Under normal conditions, the land and ocean work in harmony to control the level of CO2 in the atmosphere and normally they share an equal amount of the burden. It has been factually documented since the late 1950’s that atmospheric carbon dioxide is increasing yearly. It should not be any surprise to us that the effects are deleterious to our environment. We often argue about the cause of greenhouse gas and global warming. Maybe, our gaze should shift away from cause to effect. This way, we no longer have to argue what is essentially a moot point, and then come to agreement about answers which need to be found quickly. Some say we have waited too long now and that the damage is irrevocable. Others argue that the planet, if given a chance, can heal itself much as the human body can heal itself. One thing for sure, we can’t breathe easy just yet.